WELCOME BACK. 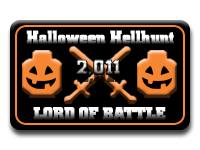 Another year gone by, and today begins the second annual HALLOWEEN HELLHUNT, held in honor of Brikwars's birthday. 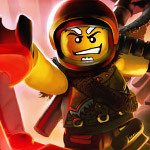 Here, the Brikwarriors fight for the title of the Lord of Battle, topping each other with mad tales of war and conquest. Last year's victor, Swordsalmon, is now added to the Hall of Lords. 6. Post a battle report on All Hallows Eve Weekend, i.e. the 29th and 30th of October, with [HH] in the title. 7. Reports will be judged on November 1st and 2nd by myself and two others, along with a secondary judge. These slots are open. If a judge wishes to participate in the contest, the secondary and the other two judges can judge his battle. Ask if you can be a judge. I have the right to deny anyone. 8. Battles are judged from 1-5, 1 point each for Gameplay, Photography, Violence, Writing, and Overall Appeal. All will be posted here with their final score. I will be adding 1 single extra point from myself, if the report is part of the Medivo or Immortal War universes. 9. The winner shall receive a shiny metal created by either myself or Olothonor to put in their sig, along with the glory of being the Lord of Battle. Yes, this is just a reason for everyone to get to read a megaton of battle reports on Halloween, night of madness and the birthday of Brikwars. Get out there and record those battles, mates. Save your post for the weekend of, and post it when the weekend rolls around. Good luck. Also requesting a sticky for this thread until the contest is over. Last edited by Ross_Varn on Sat Nov 26, 2011 1:17 am, edited 14 times in total. I nominate myself as judge, or secondary judge. I promise to be free of bias/trollery. Well, I guess I have to do the mega battle I talked about over facebook chat now. Is there any way I would be of use? I KNOW I wouldn't stand a chance against you all, but I'd be willing to help out in any way I can. AlphaLurker wrote: Is there any way I would be of use? I KNOW I wouldn't stand a chance against you all, but I'd be willing to help out in any way I can. You could enter. 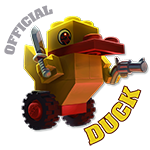 There's no such thing as too many battles, and this contest's purpose is to promote more battle reports and brikwars. You could also become a judge or make a cool sig for the winner. Damn. Just when I'm making a forum battle. I would judge, but I'm probably to "nooby"
I am the best at being the worst! Muahahaha, so it begins... I'm expecting awesomeness this year folks! Show us your steel! Ugh, I mean reports! Silver, you were secondary last year, you're in. Karetsu, if that battle is finished by the deadline... just put [HH] on the top thread. Also, Tea, you're secondary, so I expect awesomeness. Time limit doesn't exist. Just post the report on either the 29th, 30th, or 31st of October. ...I'll just recruit backup backups. Secretly. Just in case. I've already started on the winner's sig. I can has judge spot? Also, I'm actually planning on entering this year (lol let's see how long that lasts), but I'll have to see how the school year treats me, especially with preparations and applying for university.